The Trump administration is reportedly considering separating children from their parents when caught crossing borders illegally, an unconscionable, evil shift from current policy, in which families are kept together through deportation hearings and proceedings. 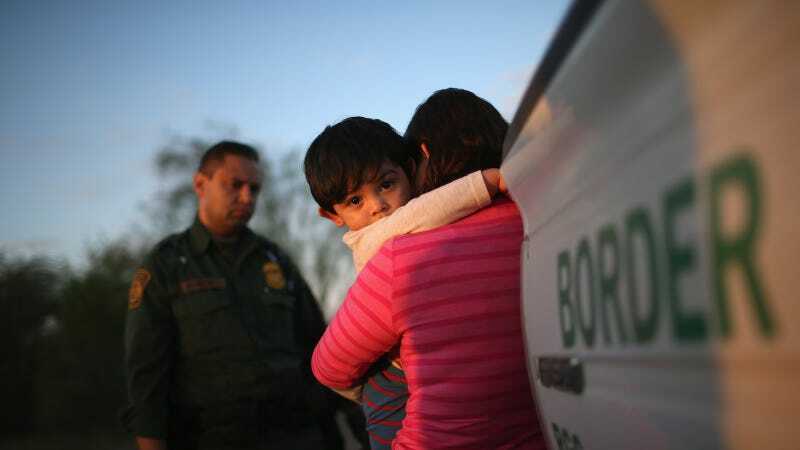 The new policy would place parents in adult detention centers and send children to juvenile detention centers or placed with a “sponsor” who lives in the US. The Washington Post reports that the proposed measures, which have not been announced officially, come from an effort to curb a sudden spike in illegal border crossings. Department of Homeland Security data shows that illegal border crossing attempts in the Southwest declined dramatically after Trump took office in January, and the number of attempted monthly crossings has been lower than the number of monthly crossings in the previous year (for example, this November, DHS arrested 39,006 individuals at the border, compared to 63, 361 individuals last November). But because crossings have been slowly increasing since January, with a 45 percent increase between October and November, the Trump administration seeks a more severe policy. “The administration is committed to using all legal tools at its disposal to secure our nation’s borders, and as a result we are continuing to review additional policy options,” Houlton said. “These measures will only drive families who are vulnerable to exploitation further into the hands of traffickers and smugglers,” said Greg Chen, director of government relations of the American Immigration Lawyers Association. “These are families that have no other choice for their survival,” he said. This is not the first time the Trump administration has proposed this plan: In March, Secretary of Homeland Security John Kelly told CNN the DHS was considering a plan to separate families. It wasn’t implemented thanks, in part, to backlash—so everyone, stay angry.